Are you planning to have a security alarm system installed in your house? Everything from price to the installation practice, are things that should be addressed and considered. Consumers typically don't look at the installation method as a thing to consider when seeking to secure their premises. IPView Security looks at all ends of the spectrum to make sure your security needs are met, we work with our customers and don't sell them equipment that is not needed. We have several plans to meet your needs at a friendly budget. The primary motive in getting a security system is to secure your home, we understand money doesn't grow on trees, so why should you pay for more?. IPView Security only takes ethical practices in order to ensure you, the customer is happy and secure, and that we maintain our good name as a 5-star company. You know your home or commercial building better than anyone. So why have a salesperson sell you on products you don’t need just trying to get a commision. Build your alarm panel using our UL listed wireless Alarm Systems and schedule the installation date that best works for you!!!! 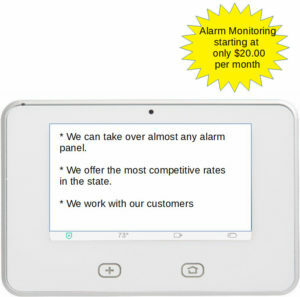 If you currently have an alarm system and are looking for a cheap (No-Contract) solution click the link below. Complete the form and a home security specialist will contact you about home security solutions.